October 23 is unique as two of the great footballers were born on that date. They share the same attribute – lust for goal scoring. While Pele, born October 23, 1940 is acknowledged worldwide for his exploits, especially at the World Cup, Rashidi Yekini was an acknowledged goal poacher in Africa and Nigeria’s all-time top scorer. Sadly his life was cut short six years ago. He was born in Kaduna on October 23, 1963. He shot into limelight just two days before his 21st birthday as scored for Shooting Stars in a 5-1 rout of Togo’s Semasi Sekode in the semi finals first leg of African Cup of Champions Clubs. 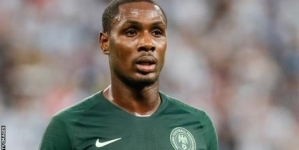 Thereafter, he became a sort of goal scoring machine for Nigeria. 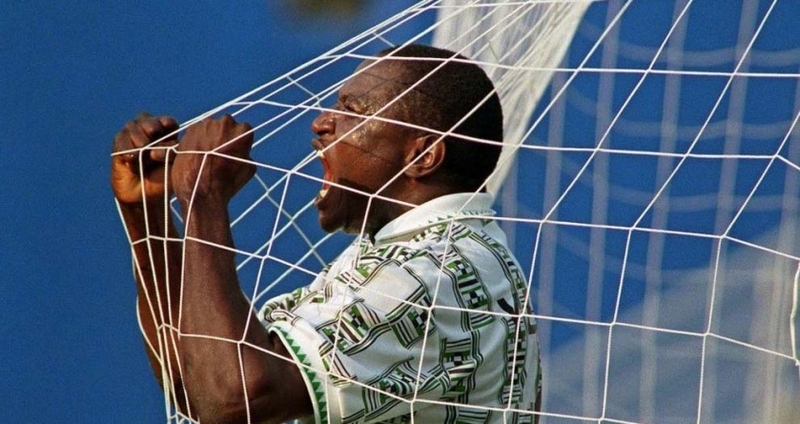 For the Super Eagles, Yekini had 37 goals to his credit. With five goals, the tall, bulky player topped the goal chart at the 1994 Africa Cup of Nations. He was African Footballer of the Year 1993 and went on to score Nigeria’s first World Cup goal in 1994. That was the icing, as his goals were largely responsible for Nigeria’s qualification. With eight goals, he led he led all African players in the qualifying series for the 1994 Africa Cup of Nations. He was nicknamed “Hulk” for his bulldozing style, dominating physique and towering presence in opponents’ goal areas. Yekini was on the brink of shooting into record books had he scored in the final match of the 1994 Africa Cup of nations match with Zambia. 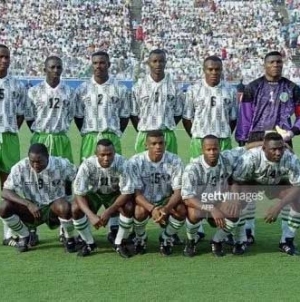 Also, had Nigeria not pulled out of the 1996 edition, goals by Yekini could have made him surpass the 14 scored by the initial record holder, the Ivorien Laurent Pokou whose record had endured for 20 years from 1974 to 1994. 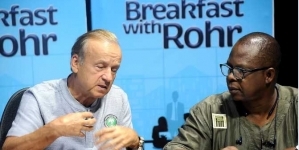 A goal by Yekini would have put him a head on the all-time score chart and also given him the appearance record at Africa’s premier football competition. He played 24 Africa Cup of Nations matches. He made his debut in 1984 in Cote d’Ivoire and featured also in 1988, 1990, 1992 and 1994. With Shooting Stars, he was a finalist in the African Cup of Champions Clubs in 1984. He won the Challenge Cup with Abiola Babes. When he crossed the country’s borders to play in Cote d’Ivoire, he became an idol at Africa Sports of Abidjan. He later moved to Europe and joined Vitoria Setubal of Portugal where in 24 games in the 1990/91 season, he scored 13 goals. 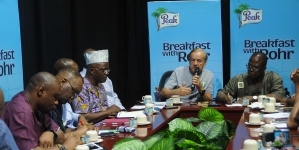 In the following season, Yekini scored 22 in 30 matches and 24 in 26 matches of 1992/93 season.